Train for that big ride with BIKES. 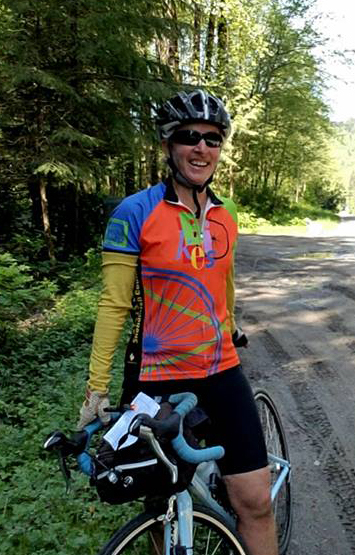 Are you signed up for a century (100 mile ride), Seattle to Portland, or another big bicycle ride this summer? 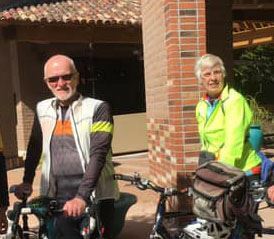 Riding with experienced BIKES Club members can be part of your training plan. Our training series includes two rides a month based on the STP training schedule. Most rides are free, though some events with fees are included in the schedule. You must be a member of BIKES Club to participate - you can join after your first ride with us. We hope to have both a beginner group aiming for 12-14 mph average, and a more advanced group. Look for the symbol on the Rides Calendar. Website tip: click on Switch To List View to find all the training ride listings at a glance..
Starts promptly at 10:00 am from Bicycle Centre's Silverlake Shop. 25 to 35 mile rides on varied scenic routes, hills are involved, occasional regroups, bring a snack. Optional lunch stop at the end of ride. Meet at 9:45 for a 10 AM rollout. Ride your bike and help mark a section of a route for the McClinchy Mile: Camano Climb Edition. Steady to moderate pace (12 – 16 mph) with frequent stops for route marking. Start locations and routes for each day will vary as routes get marked and as weather allows. Check Ride Updates or contact ride leader for details within a couple of days before. You need to be able to carry at least one can of spray paint on your bike for this activity. Also bring water & snacks. Coffee / lunch stops expected too. Dry pavement needed for the paint to stick. Meet a few minutes early at McCollum Park west parking lot for a 10am start. Loop ride including sections of the Interurban, Burke-Gilman, Sammamish River, and North Creek trails and interconnecting streets. Coffee, lunch, and rest stops expected. 34 miles, moderate pace (14 – 16 mph), A & B terrain with 1,500 feet of elevation gain. Ice, snow, or steady rain cancels, check the Rides Updates page or call/text if in doubt. 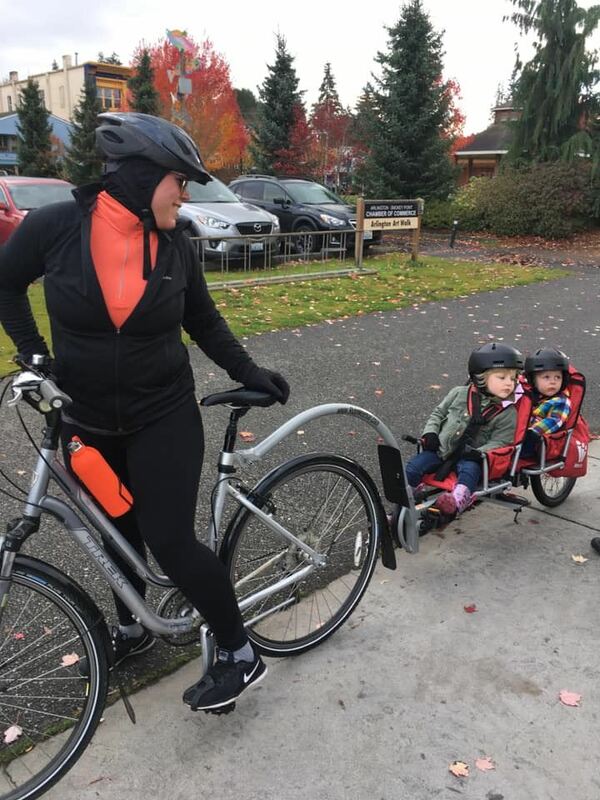 A special feature of this year’s McClinchy Mile event is a free family ride on Saturday, April 27 starting at 1 p.m. You'll head north from Arlington on the Centennial Trail - as far as your kids' legs can take them (up to 15 miles out and back to the Nakashima Barn). We'll have snacks for all and McClinchy memorabilia for the little ones. This ride is sponsored by Sharing Wheels Community Bike Shop. The goal is to give people a reason to bring your family and stay overnight in the Stillaguamish Valley. In addition to bicycling, Arlington has great thrift stores and public art downtown, breweries, distilleries, and Angel of the Winds Casino Resort nearby. There’s also hiking and mountain biking in Darrington. 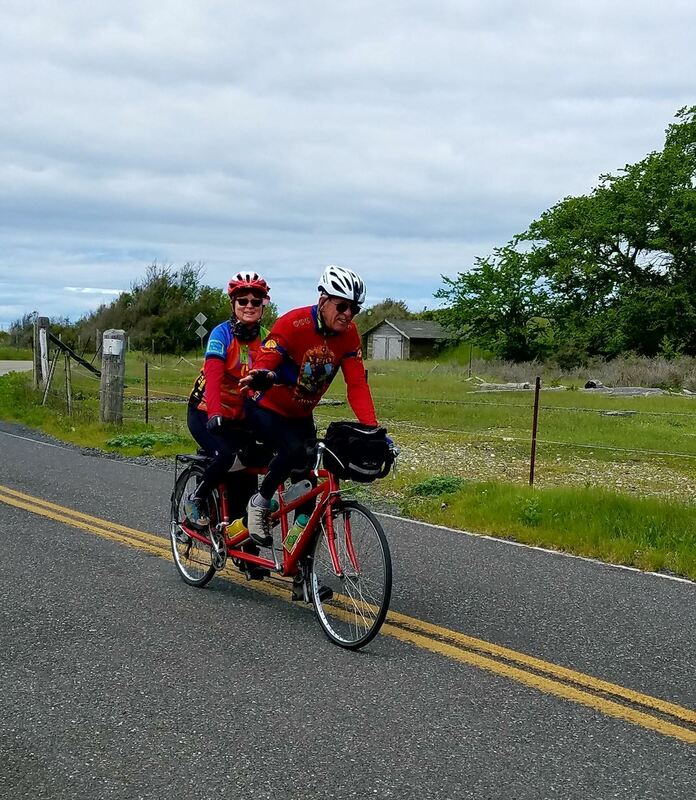 2019 McClinchy Mile - Camano Climb Edition!! Ride 3,000+ elev. ft. of hills & spectacular waterviews in beautiful, low traffic Camano Island! Or stick with our classic, flattish Stanwood/Arlington farm routes for a scenic, more relaxing ride. Sign up & Let's GO!! 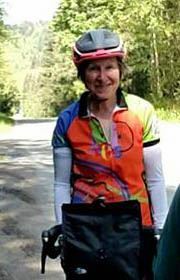 Ride leader Cheryl Funkhouser 253-732-9308 or other competent BIKES ride leader. Meet at 9:45am at Echo Lake Park in Shoreline for a 10am start. We will ride to Green Lake on the Interurban Trail and city streets. We will stop at Green Lake near Peet’s Coffee for coffee and a snack or bring your own snack or lunch. Social pace (10-12 MPH), A/B terrain, 17- 18 miles. You may turnaround at any time. 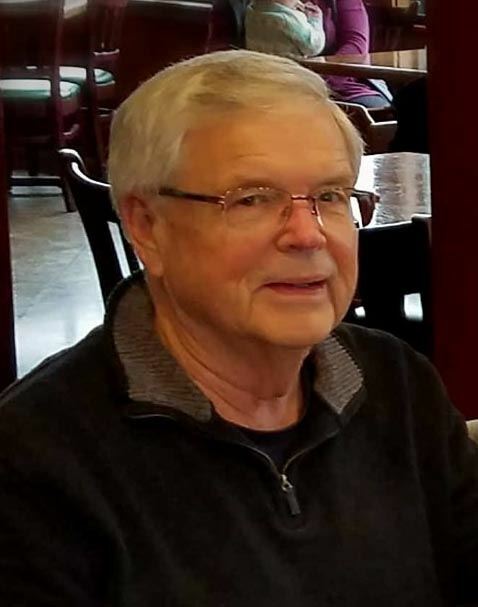 Ride leader Ron Andersen, 425.626.9187, ronk22446b@gmail.com. 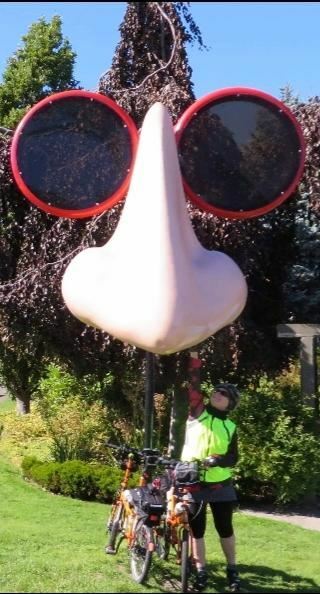 Meet at 9:45 am for a 10am roll out at Green Lake Park restrooms at SSW end of Green Lake (6200 West Green Lake Way N.). Loop ride on trails and streets near Puget Sound through Greenwood Park, Golden Gardens, Chittenden Locks, Discovery Park, Gas Works Park, Kerry Park via Queen Anne hill, UW, and Ravenna Park. We will walk the bikes through Chittenden Locks area (1/2 mile). We will forage for coffee / lunch along the way. 32 miles, moderate pace (14 – 16 mph), A & B terrain with 1,900 feet of elevation gain. Ride leader: Rick Proctor 425-293-3153, BikeHound@comcast.net. Meet at 9:45 AM for a 10 AM rollout at Terry’s Corner Park & Ride. 40 miles, steady pace (12 – 14 mph), 2,300 feet of gain, A/B/C terrain. This will be a full island loop route ride with stops to check out points of interest. We will forage for mid-ride coffee / lunch along the way. 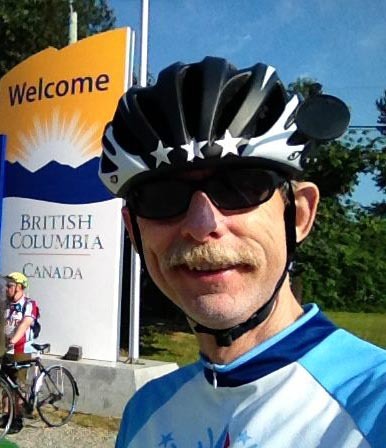 Ride leader: Rick Proctor, BikeHound@comcast.net, 425-293-3153. Ice, snow or steady rain cancels, check the Ride Updates page or text / e-mail if in doubt. 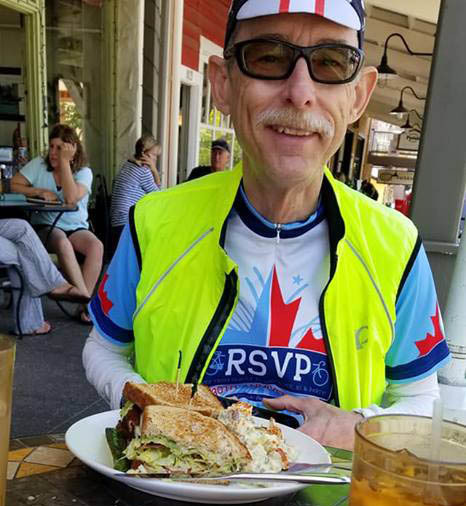 Club members and friends are invited to ride together in remembrance of long-time BIKES member and volunteer Warren Bare on Sunday, May 5. 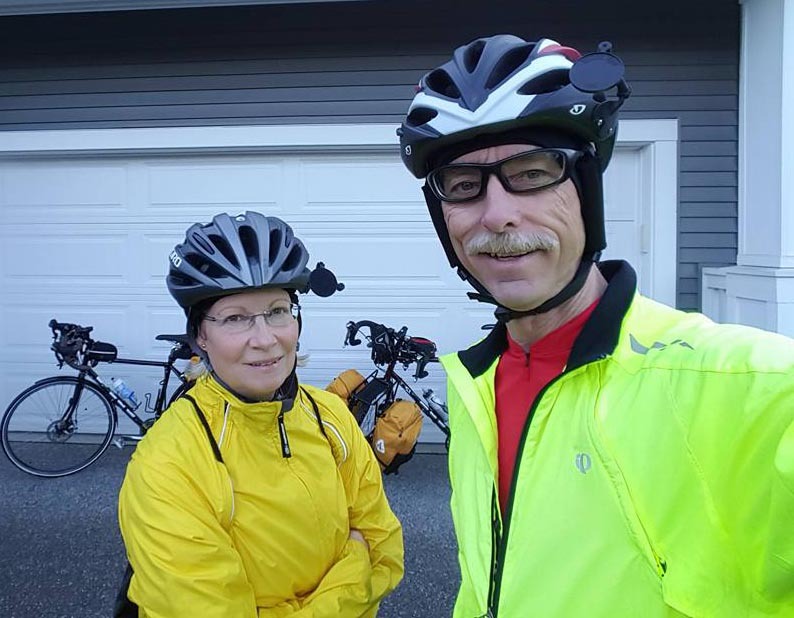 Warren suggested this 33-mile route as a favorite of his on the Kitsap Peninsula. Hilly terrain. Steady and moderate pace groups confirmed (leaders needed for faster/slower groups). Stop for coffee and snack in Poulsbo. Plan to catch the 9:35 ferry from Edmonds and to re-group on the other side before starting the ride. Meet at Bicycle Centre Silver Lake, at 9:45 for a 10:00 a.m start. Meet 9:45am at Silver Lake Bicycle Centre for an 10 am roll out. Moderate pace group (14 – 16 mph), 25-30 or so miles, A/B terrain. Loop ride routes vary. Mid-ride break with optional lunch and/or coffee after the ride. Ice, snow or steady rain cancels. Check the Rides Updates page or call/text/email if in doubt. Brisk Lunch Ride is on every Tuesday departing from the Silverlake Bicycle Centers parking lot at 10:00 am. Distance about 25 to 35 miles on varied hilly routes. Pace 16 to 18 mph on flats, slower on the climbs and faster on descents. Terrain A - C with occasional regroups at tops of hills and for pit stops. GPS routes are sometime proved. Optional after ride meal with the other pace groups may happen too. Route, distance and ride leader TBD. Meet at 9:45am for a 10am roll out at Log Boom Park in Kenmore on the Burke-Gilman Trail. 34 miles, moderate pace (14 - 16 mph), A & B terrain with 1,100 feet of elevation gain. Loop ride clockwise on the Burke-Gilman trail, Sammamish River Trail, 520 Trail, and interconnecting streets. This route includes crossing Lake Washington on the 520 Trail section. Coffee / tea / lunch in the U district (mile 26 or so). More rest stops too. Ride leader: Rick Proctor 425-293-3153 BikeHound@comcast.net. 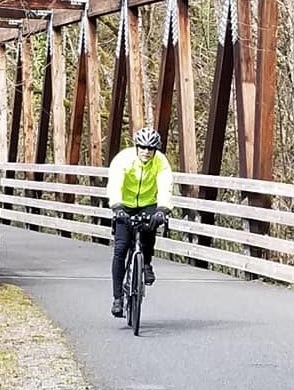 Skagit Bicycle Club's 29th Annual Skagit Spring Classic Bicycle Ride tours through beautiful northern Skagit and southern Whatcom County. Enjoy quiet country roads that are flat in the valley but climb up Chuckanut Drive on longer routes winding through forest land with beautiful marine views of the Salish Sea. Routes of 27, 48, 64 and 100 miles, with cookies along the way and pasta at the finish. BIKES Club members save $10 with a discount code. For more information & to register, click on the link belowand we'll to see you there!! If you'd like to ride as a Bikes Club group, meet up with us at the start line. We will ride the 48 mile loop, at a high social/low steady pace (12-13 on the flats) with regroup on hills. A, B and some C terrain. This is a hilly and scenic route and ends with a pasta feed at the finish and several well stocked rest stops along the way. Rain will CANCEL this ride, or at least me leading this ride. The ride itself will go on rain or shine, so come prepared! Ride leader: Cindy Proctor 425-338-3639. 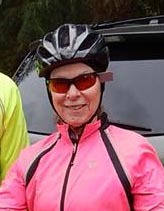 Ride Leader Debbie Kawamoto 425-359-1974 . Meet at 9:45am at the ball field parking lot next to the fire station in Conway for a 10am start. We’ll ride from Conway to Mt Vernon via Fir Island along the west side of the Skagit River and return on the east side. RT 21 miles, Social pace, A terrain. Route is on paved road with little elevation and low traffic volumes. 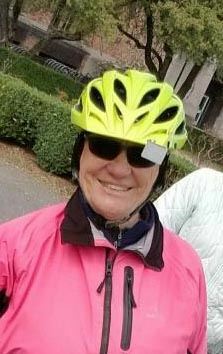 Ride leader Nancy Graham, (425) 493-1952. Meet at 9:45am at McCollum Park west parking lot for a 10am roll out. Loop ride through Lynnwood, Stamm Overlook Park, Edmonds, Mountlake Terrace, Lynnwood, Mill Creek & more. Coffee shop stop in Edmonds..
30 miles, moderate pace (14 – 16 mph), A & B terrain with 1,600 feet of elevation gain. Meet at 9:45 AM for a 10 AM roll out at Log Boom Park. Loop ride clockwise around Lake Washington. Coffee, lunch and rest stops expected. 49 miles, moderate pace 14 – 16 mph), A/B terrain with 2,000 feet of elevation gain. Ride leader Rick Proctor425-293-3153, BikeHound@comcast.net. Heavy smoke or steady rain cancels, check the Ride Updates page or text / e-mail if in doubt. Arrive a bit early for sign in and introductions for a 31 mile loop around North Lake Washington. Low Steady Pace (12-13 mph on flats), regroup on hills. A, B and some C terrain, (over 1200 feet of elevation gain on this ride) with a few hills over 8% before we cross the 520 Bridge. Detour off the trail for a bit to explore behind the University of Washington for a short visit to the Center for Urban Horticulture. Stop at Metropolitan Market for lunch or snack (or bring your own) at about mile 20. This route will be about half road (with bike lanes) and half trail. This is not a hammer fest, we will make stops for photo ops and layer adjustments and just to regroup if necessary. Notice to all Ride Leaders that it's time to send in your listings for next month. Meet at 9:45am at Blyth Park in Bothell for a 10am start. Paved asphalt trail. Food stop at the halfway mark (Whole Food, Pancake House) or bring you own lunch or snack. Social pace (10 to 12 MPH), mostly A terrain with a little B, 23 miles. You may turn around at any time after informing the leader. 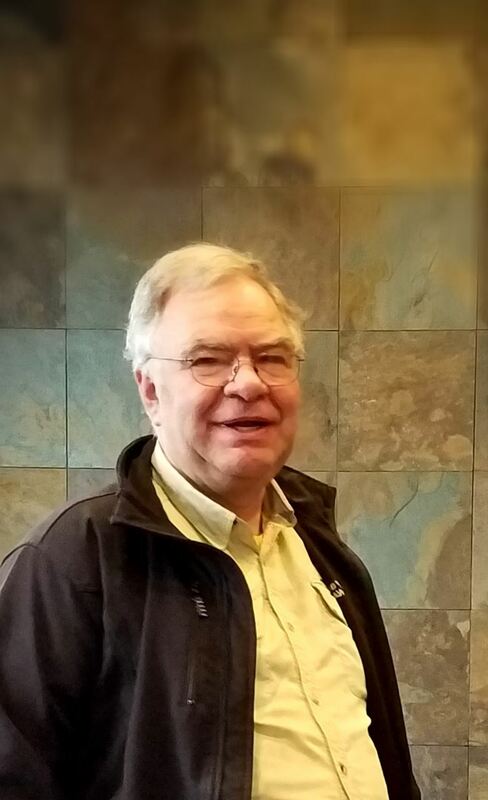 Ride leader Ron Andersen, 425.742.5508, ronk22446b@gmail.com. Cell phone on the day of the ride 425.626.9187. In case of poor weather i.e. rain, I will post on the Ride Updates page early Wednesday morning. 3 days riding; hauling own motel gear two of the days. May 31st is an optional day to drive from La Grande to Redmond, OR ~260 miles, or drive to Redmond, OR from home or wherever. Meet at 9:45am at the Everett Mall (parking lot that is near the LA Fitness) for a 10am start. This ride is mostly urban road, with some on the Interurban Trail. Restroom break at Legion Park and a brief walk through the arboretum to check out spring blooms. 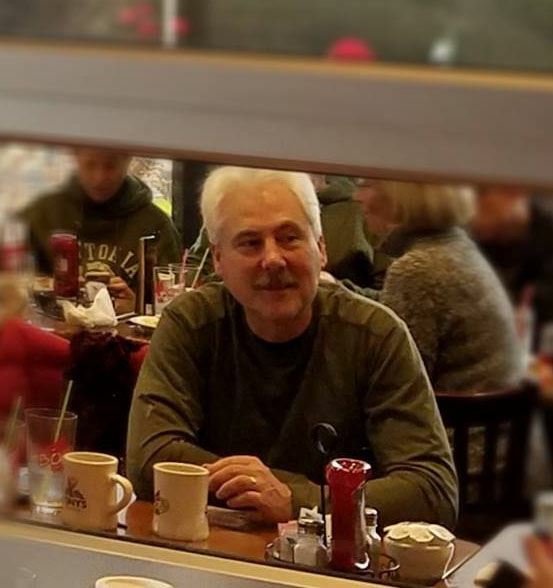 Depending on the group, we will either take an optional coffee/light lunch break at Narrative Coffee on Wetmore or the Sisters Restaurant on Grand Avenue. BRING A LOCK! Social pace, A and B Terrain (rolling hills), less than 800 feet of elevation gain, but most of that is on the way back, so will feel quite hilly, 20 miles. Rain cancels, check Ride Updates. Ride leader Cindy Proctor 425-293-3152. Self-contained, mix of camping & motels, eat in restaurants when available. 30 - 50 miles per day, ~420 miles total, at least 1 rest day per week . Need to work together to arrange transport to Cathlamet, WA and back from Crescent City, CA. RSVP with ride leader as soon as practical for best schedule flexibility. Will use Adventure Cycling maps as much as is practical. Meet at 9:45am at Log Boom Park for a 10am start. We’ll ride on the Burke Gilman Trail to Gas Works Park and return. Food stop at Ivar’s where we can eat at the outside tables. Buy lunch or bring your own food. Social pace, A Terrain, about 23 miles. You may turn around at any time for fewer miles. Ride leader Linda Hunter, 425 478-6287 or hunterbl4345@comcast.net. 6/21/19 (Friday), arrive & stay @ Kahnderosa RV Park. 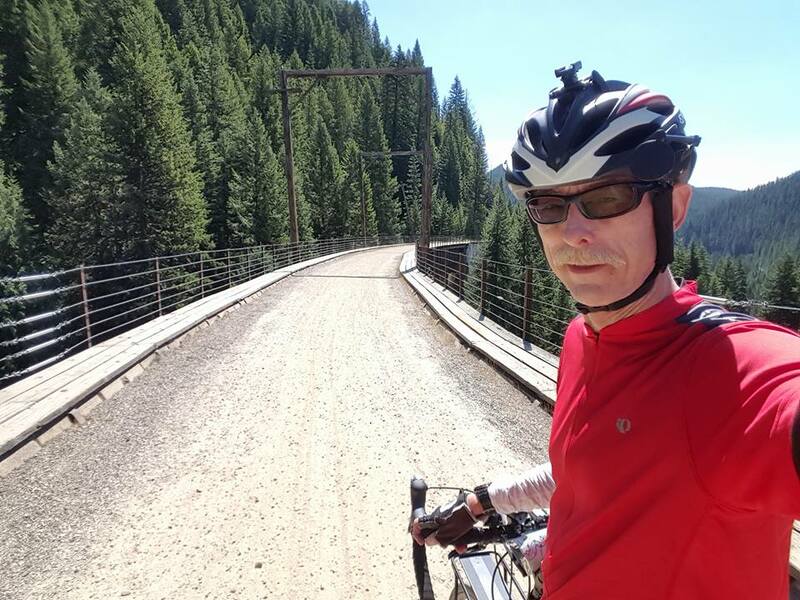 6/24/19 (Monday): Ride from Wallace to Mullan, return back past Wallace to Kellogg, 36 miles RT, stay at Wallace RV Park. Arrive in Wallace the day before on Sept 15th. Depart Wallace Sept 20th. 20 Apr 2019 Tour de E.F.D. 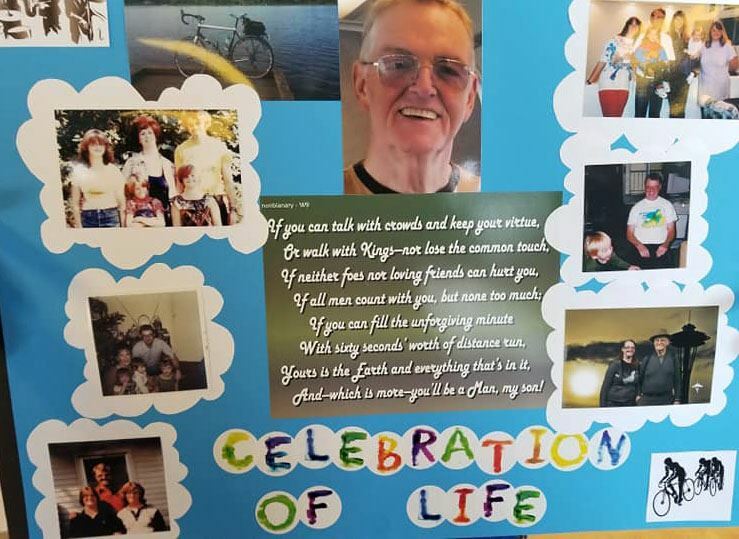 08 Apr 2019 Bill Weber's 1st Retirement Ride!! 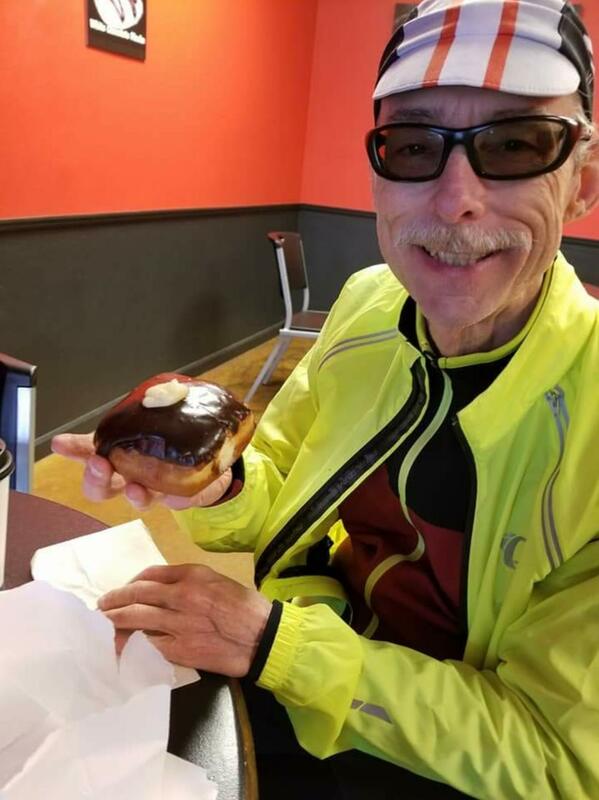 25 Aug 2018 Ride to Maltby for Ice Cream!! 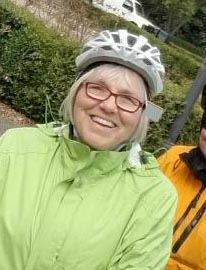 21 Aug 2018 Tuesday Ride (Social Pace) - Elaine's 70th Birthday!! 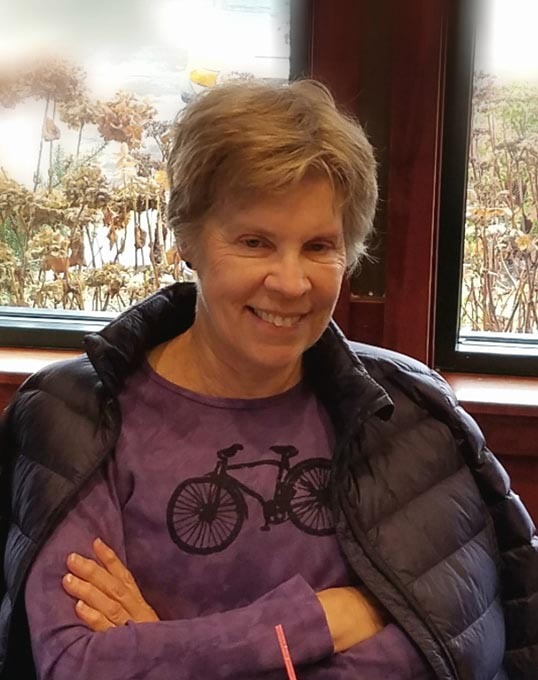 21 Aug 2018 Tuesday Ride (Brisk Pace) -- Elaine's 70th B-day! 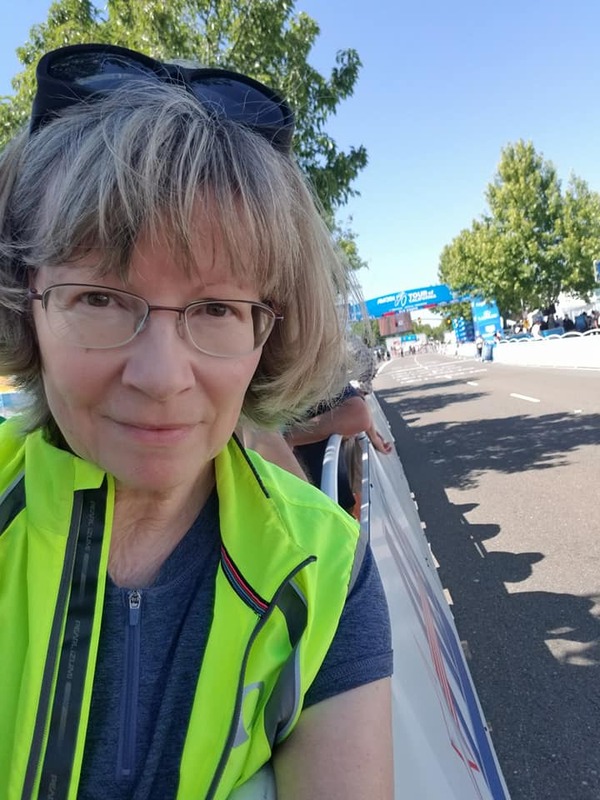 21 Aug 2018 Tuesday Ride (Steady Pace) -- Elaine's 70th B-day!! 16 Jun 2018 LaConner - Anacortes -- CANCELLED!! 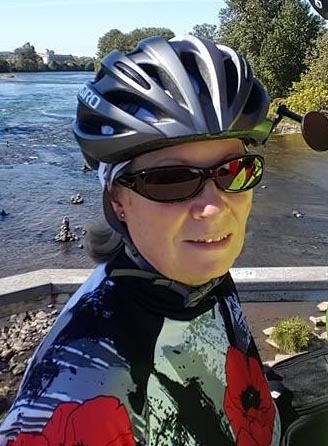 22 May 2018 Tuesday Ride (Social Pace) -- CANCELLED!! 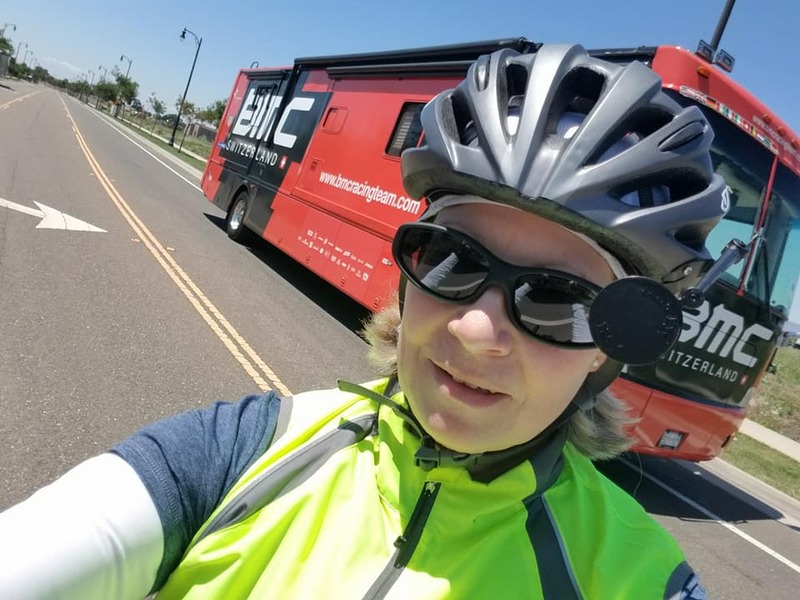 21 Apr 2018 Tour de E.F.D. 18 Mar 2018 Ride Amuck to Mt. Rainier in One Day! 18 Feb 2018 Ride Around Lake Stevens!! 17 Feb 2018 2018 Chinese New Year's Ride - Year of the Dog!! 31 Dec 2017 Last Miles 2017 - Updated from 1/1/18! 22 Jun 2017 6/22-6/26 Eugene (HS) with MaryJo Gerst. 21 Jun 2017 Solstice - Longest Day of the Year Ride! 25 Nov 2015 Giro di Sentieri! 19 Nov 2015 Giro di Sentieri! 12 Nov 2015 Giro di Sentieri! 05 Nov 2015 Giro di Sentieri! 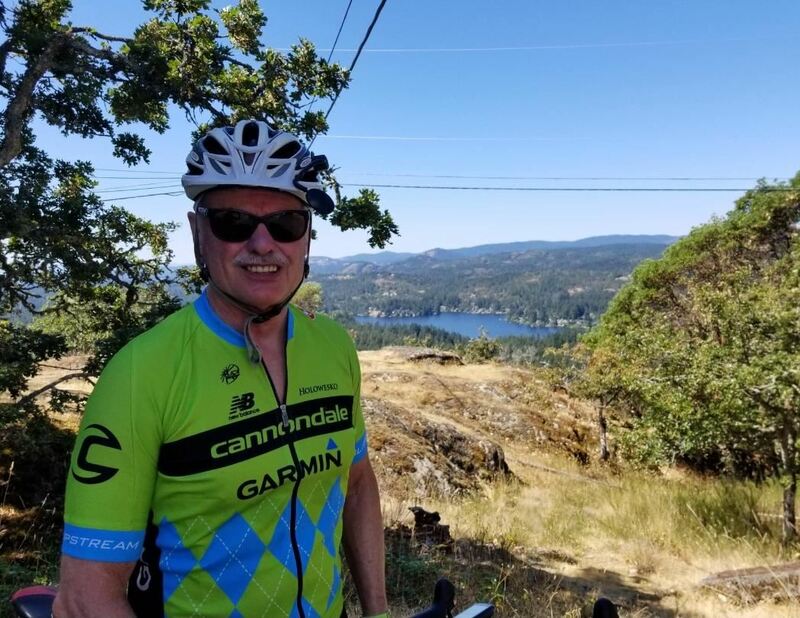 02 May 2015 Training Ride: The 19th Annual Camano Climb! 31 Mar 2015 PreRide to the Tuesday Lunch Time Ride - note time!! 28 Nov 2014 Too Much Turkey Ride!